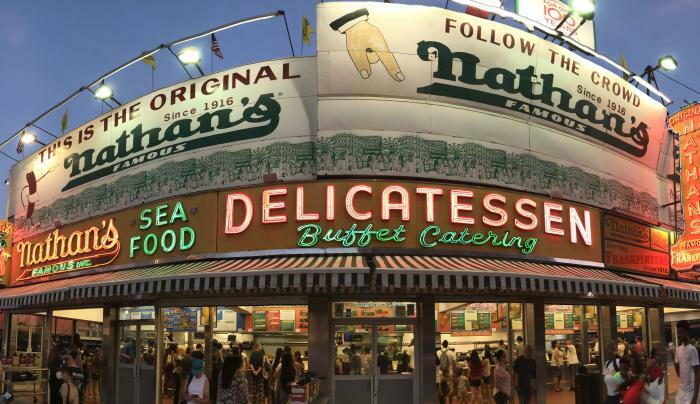 NYC summer staple Nathan's serves the quintessential Coney Island hot dog, plus fresh crinkle-cut french fries, a short walk from the Coney Island boardwalk and beach. Founded by Polish immigrant Nathan Handwerker in 1916, the iconic restaurant is a testament to the opportunities the City holds for people all around the globe. Of course, it's also the site of the world's best-known eating competition—the International Hot Dog Eating Contest—where every July 4, hungry participants have 10 minutes to scarf down as many franks as possible.